Another week gone in a flash! This weekend is supposed to feel like spring (warm!) but we'll be getting plenty of April showers along with it. I'm taking advantage and planning on doing a bunch of spring cleaning today (especially since I have a new set of shelves!) – I made the mistake of hauling out my warm weather clothes bins, so now I have to deal with it. Maybe. Or maybe I'll just stuff them back into the coat closet because April really is the cruelest month in Maine (as in, it snowed again this week). On Sunday we're headed to my mom's for Easter brunch. I'm planning on making a gluten-free pear cake and maybe some healthier peanut butter eggs - we'll see what I actually get accomplished. Enjoy your weekend, friends! The North Face wants to make Earth Day a national holiday - hear hear! What does "being basic" look like in 2019? Finally bit the bullet and ordered these pants - can't wait to style them with a vintage tee and my leather jacket! Yes, you can be an introvert and still be successful! Sports Bras: I love a fun sports bra and there are so many good ones out there now! I just ordered this one from Onzie (that pattern! 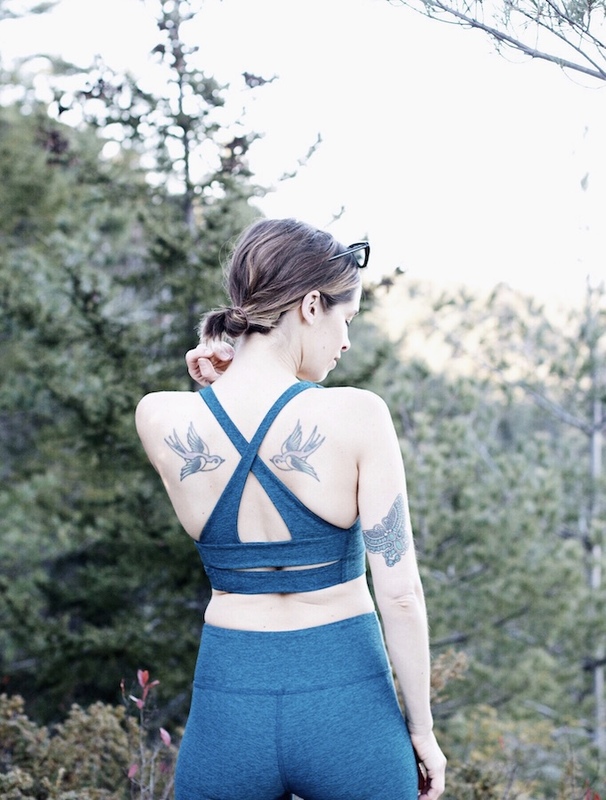 ), which will be perfect for weights days and yoga, and I have my eye on this one for summer hiking. Leggings: You might be surprised – or not – to learn that my collection of leggings is a little out of control. Between working from home (aka loungewear central) and actually working out, I go through a lot of them. For spring I'm hoping to get a new pair for hiking, and some ankle-length leggings for the gym (love these). Sneakers: So, I really need a new pair of sneakers – but I'm torn. My running shoes are shot – I have these and loved them – but I'm finding I also need a pair for weight days too. Maybe these? Have you tried a pair of training shoes? I'd love to know what you thought.